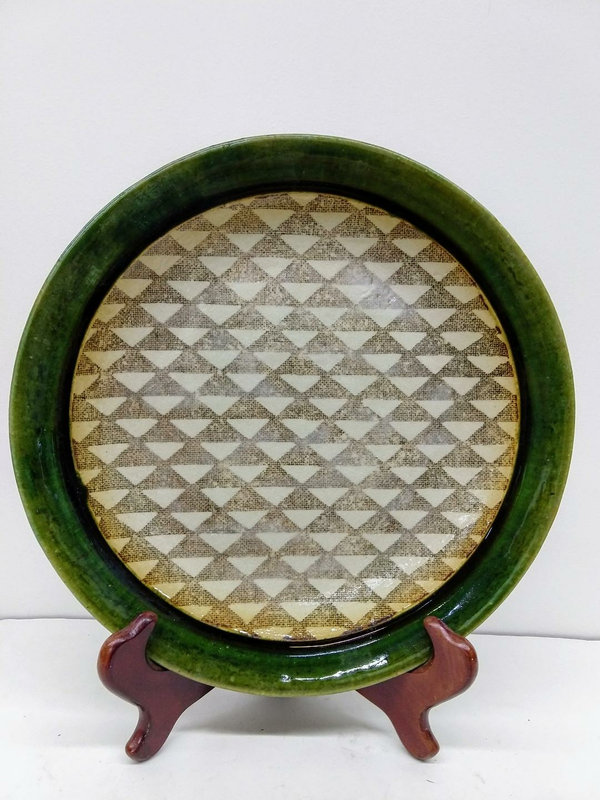 10 3/4" oribe plate with geometric design. 1 1/4" in height. Oribe ceramic style encompasses rustic and natural colors and designs, a departure from gold trims and detail floral palettes.